PrimaLoft vs Down Insulation: Which One Is Better? Insulation is the name of the game when it comes to how well can a winter jacket protect against the cold. While remaining dry in unstable weather conditions is a very important matter, insulation will ensure that you manage to remain warm when temperatures drop extensively. A waterproof rain jacket is of no use against the cold, despite keeping you fully dry. 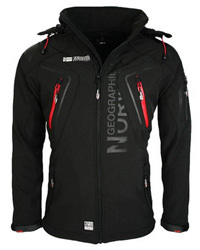 It’s for that reason that an insulated jacket is a must during the winter months. In this comparison piece we will be taking a look at two very different types of insulations: synthetic and natural. 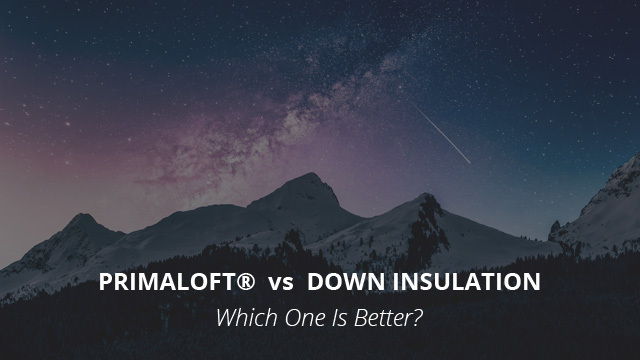 We have, in the past, looked at both down and different synthetic insulations, but today it’s time to look at how natural Down compares to PrimaLoft®, also referred to as synthetic down. Let’s get started with a short explanation of what insulation is, what it does and why it is a necessity in winter wear. Winter jackets, sleeping bags and a whole other lot of outdoor gear and clothing utilize insulation as a means to provide warmth and protection during harsh winter days. Why is that? What insulation does is reducing heat loss by inhibiting the transfer of heat from the body and inside of the jacket to the cold outside environment. 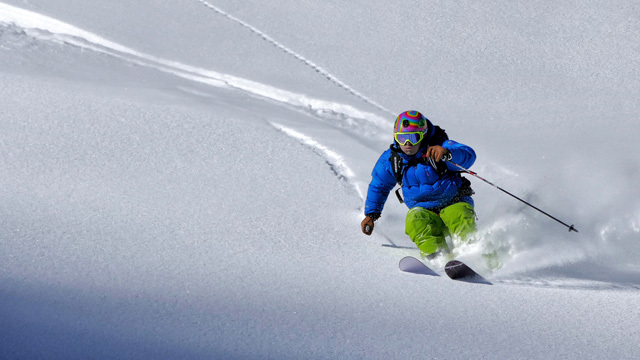 Insulation does not solely come in the form of padding or filling, such as Down or PrimaLoft®, but fabrics themselves provide different levels of insulations, with special fabric technologies being specifically designed for utmost insulation and breathability without the bulk of padding. 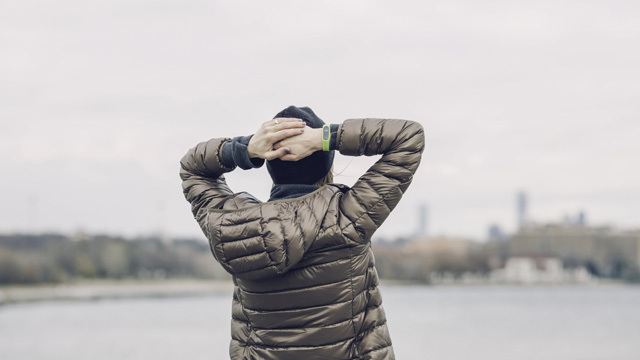 When we discuss insulation of jackets, or any other household or outdoor product that is meant to keep you warm when in contact with your body, a whole lot of different aspects must be considered. Not only should the fabric be able to prevent heat loss by itself, but it should also be windproof at best or wind-resistant at least, in order to further reduce the loss of heat by air circulation. Water protection is also very important, that’s why you will find that a majority of insulated jackets are at the very least water-resistant. This is because not only will a wet jacket lose heat at a much quicker rate than a dry one would, but it can and will compromise the insulating filling by reducing its loft and therefore its ability to trap heat. This can become not only a nuisance but it can also put you in actual danger as you will be at risk for hypothermia and that is the very last thing that you want to have to deal with in freezing weather. All of those “requirements” are necessary for an insulated jacket to perform as it should and to keep you warm, cozy and protected against the elements. As we mentioned in the beginning, there are two main types of insulations, which are the natural insulation and the synthetic one. Natural insulation refers to Down, which itself can be of different types, depending on the birds it was sourced from. The main two, however, are duck down and goose down. As for synthetic insulation, the options are numerous as different brands have come up with their own particular type of insulation, which varies considerably from type to type. Now, you may wonder why do we actually need either insulation at all? Can’t we just use down all the time and be done with it? Or just opt for synthetic insulation every time? Matters get a bit complicated here as these different types of insulations perform quite differently and fulfill different requirements. Some are bulkier, some are softer, some others are better at trapping heat, others are better at “breathing”, and depending on what you are looking for, these options make it possible for you to find exactly the jacket that best suits your needs. With that being said, since our focus is Down vs. PrimaLoft® specifically, let’s now get started with each of them to better understand how they work and what their features are. Down is an animal-based insulation, as it comes from the undercoating of waterfowl, such as ducks and geese. Down is revered as the best insulator there is because of its incredible ability to trap in heat without having to be excessively bulky in order to do so. It provides the best warmth to weight ratio and the higher its fill power, the lower the weight and the lesser the bulkiness. Fill power is what is used to measure the quality of down as it shows the ability of down to expand and insulate. What this means is that the higher the number, the more space the down can fill without requiring additional weight. To make it a bit clearer, let’s compare 600 fill power down to that of 800 fill power. Considering the weight equal for both, the 800 fill power down will take up more space, therefore requiring less of it to entirely fill up a jacket, as opposed to 600 fill power down. Fill power is not the sole indicator of quality as the birds that down was sourced from plays a key role, too. Goose down is of considerably higher quality than duck down, as it provides better loft and the feathers are much softer, fluffier and better able to expand. This is why goose down in a jacket amps up the price noticeably, especially for higher fill powers. Down is highly compressible as well, as it can quickly return to its original shape after compression without getting damaged. In this case, the higher the loft, which is the space down takes, the more compressible the jacket is. But, there is a downside to down, too. Down is notorious for its inability to withstand moisture, resulting in it losing almost entirely all of its insulating ability, rendering it completely useless when wet. That is why quite a number of down jackets are water-resistant but always recommended to be worn in dry weather as once it’s wet, it only goes downhill from there. PrimaLoft® is a synthetic insulator that has found use in many different garments and outdoor gear. 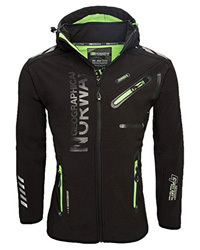 We have seen it in several reviews and selections, mainly in combination with The North Face in the form of ThermoBall insulation. It is a microfiber polyester insulation that comes in the shape of very fine fibers, capable to trap in heat in between each other by forming small air pockets. Sounds familiar somewhat? That’s because PrimaLoft is made to closely mimic down in performance, which is why it’s one of the most well-known synthetic insulators today. It performs quite similarly to down, in that it provides great compressibility and the comfort of down, but with a better ability to breathe. By breathe we are referring to breathability, the ability of a garment to wick moisture away from the inside to the outside by preventing moisture build up and excessive overheating. PrimaLoft, being synthetic, is not too susceptible to moisture as it does not lose much of its insulating abilities when wet, which is why it has become so widely used in the outdoor clothing industry. This is not an answer that can be answered just like that, as we need to look at each feature in order to determine which of the two insulations is the better one, so let’s get to it. We will keep this very short: Down. Down is indeed the best insulator out of all and as such it provides better insulating abilities than any synthetic insulation available today. It naturally creates thousands of minuscule air pockets that are able to trap heat inside, and as such it performs unlike any other insulator. PrimaLoft is considerably breathable, but when it comes to jackets in particular, the fabric itself must be taken into consideration as it will greatly affect performance. Overall though, they are both very breathable on their own. While there has been some improvement in Down’s ability to withstand moisture, namely by developing hydrophobic down, that is typically treated with DWR treatments that repel water, PrimaLoft has the upper hand in this regard. Being polyester, it naturally has an ability to prevent water adsorption and with its special design, it further prevents this issue, meaning that it is less likely to get wet and even if it does, it won’t lose much of its insulating ability. Proper care is essential in this case, but a Down jacket will outlive any synthetic jacket by a long shot. 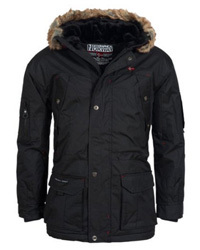 The main reason being that down jackets are often made of very high quality fabrics. However, on its own, down is extremely durable, albeit susceptible to mildew if not cared for properly. We have a guide exactly for this issue, that will save you money and time down the road, by not having to purchase a new down jacket every season. This also comes down to the compressibility that we mentioned above. Because down does not mind being compressed, it will maintain its loft overtime. PrimaLoft, on the other hand, because it is synthetic, if it is compressed too often, will start to flatten out, which will reduce its ability to create air pockets and overtime it will become unable to insulate any more. Overall, though, they are comparable as there have been cases of PrimaLoft jackets lasting nearly a decade with proper care, so again, we must stress that properly caring for an insulated jacket will extend their longevity considerably. When it comes to maintenance, PrimaLoft is definitely the better of the two. Because it is synthetic, it does not suffer too much when washed as it doesn’t tend to clump when wet. Down, on the other hand, requires quite a bit of maintenance and care when washing and especially when drying, as it will clump together and, unless the clumps are broken as it dries, it will dry like that and you will be left with a useless jacket. We would highly suggest you take a look at our guide on properly washing a down jacket so that you can safely clean it. We have to give this one to Down insulation, too. 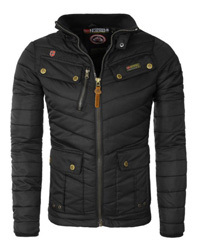 It has better loft than PrimaLoft, therefore requiring less of it to provide the same insulation as PrimaLoft. This means less added weight on the jacket and less bulk, which makes wearing a down jacket considerably more comfortable. For those who live in harsh, dry conditions, then a down jacket would be the one to go for. It will last a long time, it provides the best insulation there is and it is comfortable and cozy. 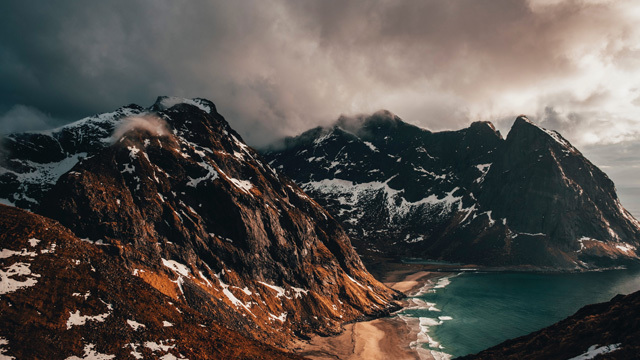 But, if it rains often where you live, then opt for a PrimaLoft-insulated jacket, as it will fare very well in wet conditions, it provides adequate insulation and is considerably durable and breathable as well.